I drafted my first knitting pattern! 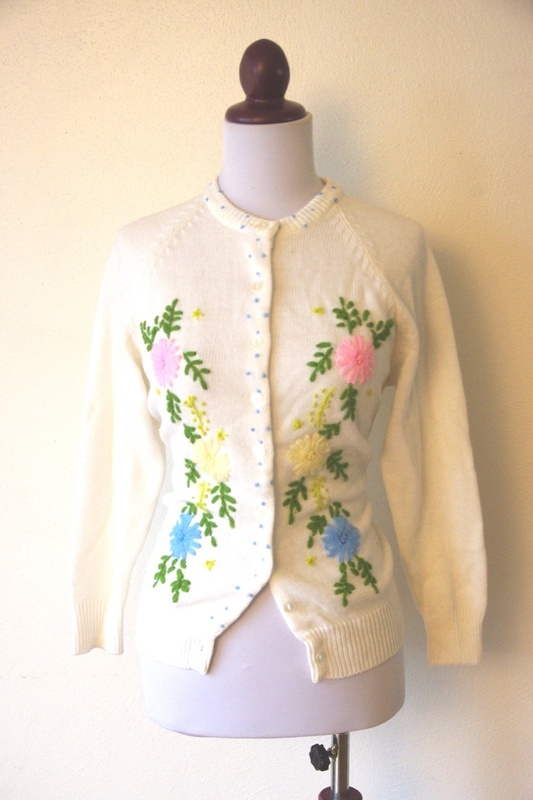 It's a basic cardigan with some embroidered flowers on the front. I used Caron Simply Soft worsted weight yarn for the body of the sweater and bits and pieces of yarn I had laying around for the embroidery. The sweater itself came together very quickly, but I underestimated how long the embroidery would take and how little I would actually want to do it. I made my mom do all the French knots and sew on the buttons because I couldn't face it...thanks Mom! This cardigan is by no means perfect. I think I picked up too many stitches around the neckline because it lies kind of weird. And I wouldn't mind if the sleeves were like an inch longer. And I suspect I made the waist too small but I'm not sure because it doesn't button because I made the buttonholes too big. When I tried to use satin stitch to make them smaller it just sort of made the front button band look sloppy. At least it looks good open. I used little pearl buttons from Jo-Ann Fabrics. I think they give the cardigan a vintage feel. 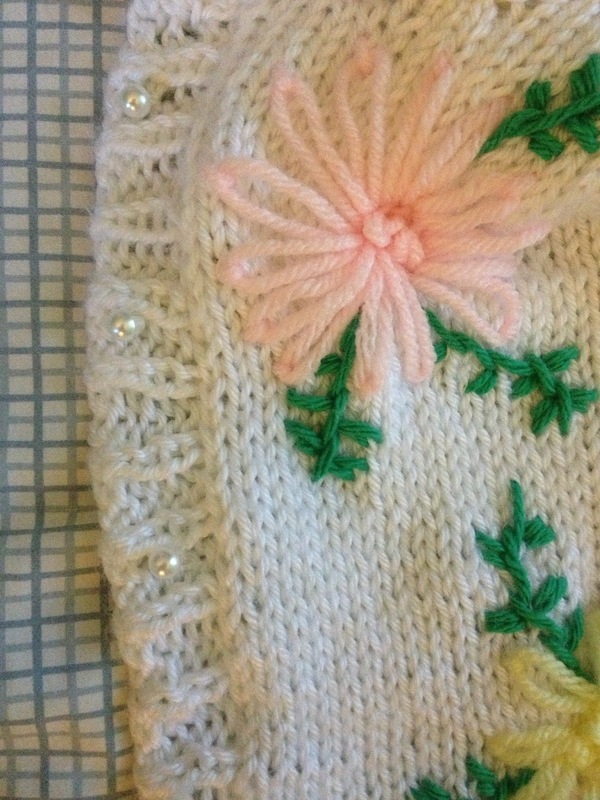 I used two books to help me design this cardigan: Knitwear Design Workshop and Knitting Pattern Essentials. If anyone is interested in reading more about my experience drafting my own pattern I would be happy to write another more in-depth post about it. So leave me a comment or something. This is my Turquoise Striped Dress. It's one of the very first things I ever made. (It's actually made pretty well except for the zipper, which is sort of a mess.) It is somehow appropriate for every occasion and looks good with all of my shoes. What else can a girl ask for in a dress? Very cute! I'm a sucker for embroidered cardigans. Cute cardigan and it looks great with the dress! Oh I've seen that McCalls pattern you used for the dress around and have always been tempted, it is worth it?